Why try convincing your mates to help you with your renovation? Surely, they have better things to do! Assign Fantastic Handyman Melbourne with any home improvement task you’ve got on your list! Below is our touch-base point where multiskills meet expertise and customer needs translate into service diversification. Whether you feel out of your depth with any type of home repairs, find painting and decorating a chore, or you can’t face your wife after yet another DIY mishap, we can help! What Is the driving force behind our company? 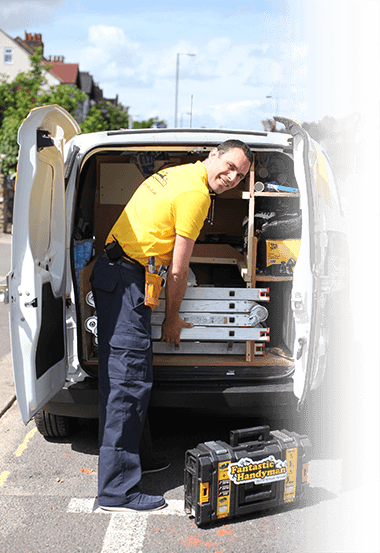 A subsidiary of Fantastic Services, Fantastic Handyman Melbourne has the support of a recognisable property service provider and a brand to be proud of. 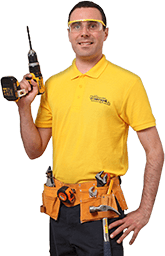 The professional tradesmen, specialist technicians and versatile handymen, we work with, are qualified, experienced and insured. We offer flexible home improvement solutions, which can be adjusted around your timetable. Our contact channels are easily accessible and we always take on board your feedback and listen to what you have to say. With our bespoke and custom-orientated property maintenance services, your home or office becomes a better environment for the members of your family or your work staff. We not only help you increase the value of your property but also contribute to prolonging the life of key features and elements of its interior or exterior. Fantastic Handyman provides guaranteed quality assurance and delivers home improvement services to the highest standard. We use professional tools and equipment, as well as materials from reputable suppliers.